Regular brushing sessions also can be helpful for managing dander. 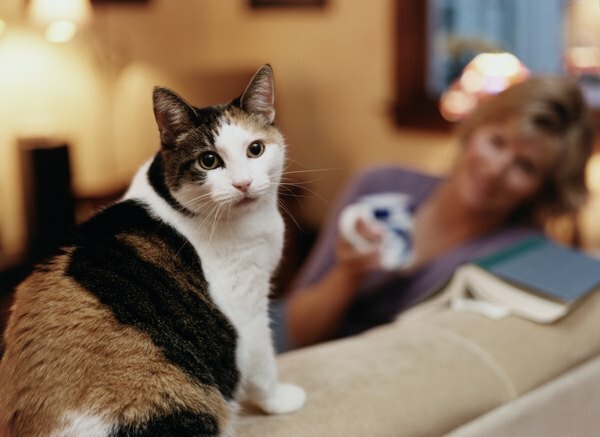 If the presence of your cat sometimes makes you feel a little sneezy and itchy, there's a good chance that you have some kind of allergy to something. Although animal lovers everywhere often associate these types of symptoms with cat hair, they usually are triggered by pet dander. Dander is the tiny bits of dried out and dead skin that get into the air. The little things make themselves comfortable all over residences -- on rugs, living room couches, etc. The proteins that are contained within the dander can cause allergies. Dander is not exclusive to felines; other animals including dogs, birds or even rodents also produce it. One way to minimize the amount of pesky dander your adorable pet releases into the air is by regularly wiping him down with dander wipes or cloths that are specifically designed for this task. These wipes are made to stop dander accumulation within your pet's coat -- and also to stop it from making its way to your surroundings. Apart from doing away with dander, these wipes are often effective for getting loose hairs out of pets' coats, too. Dogs also give off dander, and dander wipes to catch it are available at pet stores. Never use dander wipes that are made for canines on your feline. Since dogs don't lick their coats -- and groom -- as frequently as cats do, doing this could be hazardous. If you're uncertain about which dander wipes are suitable for your pet, request some suggestions from your veterinarian. Apart from just ensuring that dander wipes are made for cat use, look at the age requirements on the packaging beforehand. Not all dander wipes are recommended for wee kittens. Many of them are only appropriate for kittens no younger than 12 weeks in age. If you are the person in your household who is perhaps the most allergic to cat dander, it might be a practical idea to ask someone else to take over the duties of wiping your pet down with these cloths. In doing this, you might spare yourself a little allergy-induced discomfort due to close exposure to dander. ASPCA: Are You Allergic to Your Pet? What Are the Treatments for Cat Dander? 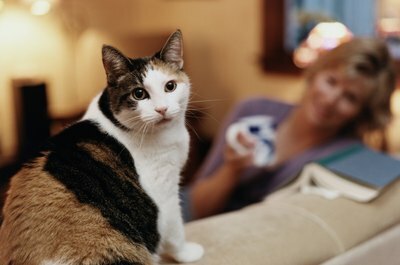 What Is Cat Dander E1? Why Would a Cat Have So Much Dander?